Yemenite Jewry has been extensively researched. The uniqueness of our research is our focus on the use by Yemenite Jews of the medicinal materials taken from plants, animals, and minerals, the healing techniques, and the medical literature of the traditional healers. The use of the rotem [Retama] plant to combat infant jaundice is an example of a drug that has been carried over into use in Israel. Part of the research was devoted to the spice and incense plants used by Yemenite Jews throughout the year. The vegetation of Yemen influenced the rabbis of Yemen in identifying the plants in halakhic literature, as can be seen in the book “Notebook of Plants in the Mishnah of Rabbi Yosef Kapach” which we published. In addition, the research deals with the material culture and daily life of Yemenite Jews, such as the structure of the house and its furnishings, the library of the educated people, crafts, commerce, and more. Another research area is the documentation of authentic kashrut traditions, such as eating locusts with the backing of the Yemenite rabbis, the kashrut of the dror, koreh, peniniya, and others. In addition, a project was published in which hundreds of unique customs of the Yemenite Jews from the “Baladi” community were compiled and compared to the “Shami” and other Jewish communities. 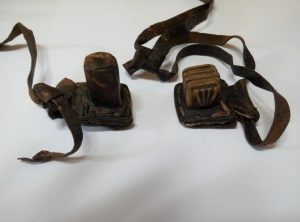 Examples of studies of ancient Yemenite customs are: “Invitation to a Brit Milah,” a custom of “malting” the wheat for the Passover matzah with plants, and documenting the ancient tefillin.